Digital business. Your next step. Organised operations are reflected in organised business documents. In the age of digital solutions, more and more companies are reaching for modern solutions that cater to the concept of paperless operation. Such solutions include the document management system, which not only enables organising the work related to the documents, but also increases the employee productivity, improves the efficiency of work processes and ensures document security. This makes working with documents in digital form faster, more organised and affordable. All of the above, and much more besides, is possible with the mDocs document management system, which facilitates document management and precision in operations. 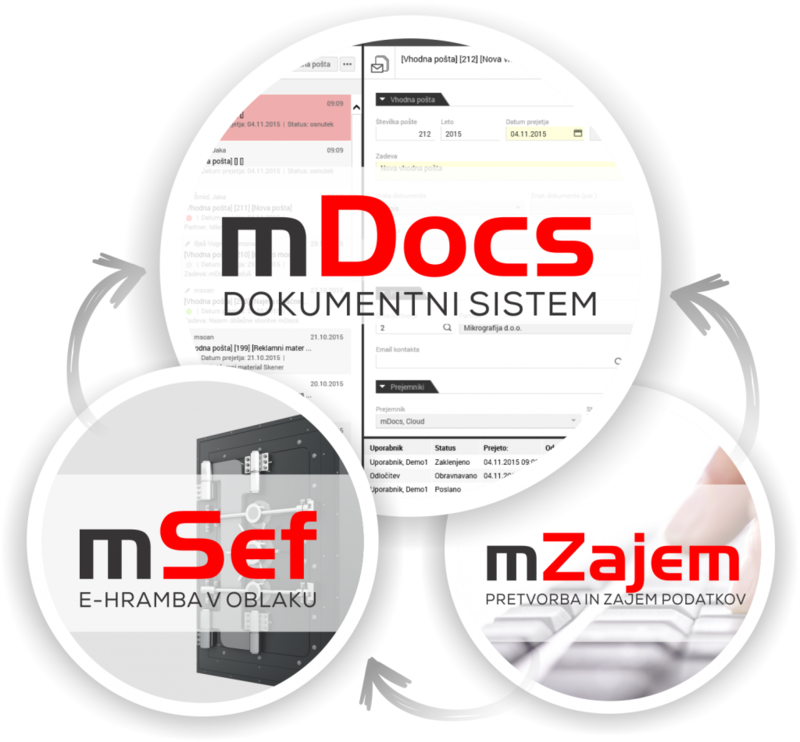 The mDocs document management system features a modular design, and thus enables simple adding or taking away of functionalities, and can grow together with the company. Besides serving as a secure digital file cabinet for documents, it manages and supports all company processes that involve documents, whether it be invoice validation, contract administration, entering sick/annual leaves, development documentation etc.. Individual documents are readily available to users who hold suitable rights – just a click away, from anywhere and at any time. Additional enhancements and services make mDocs one of the most advanced document management systems in the market, ready to take on any challenge. All solutions developed by Mikrografija are certified by the Archives of the Republic of Slovenia, and enable comprehensive handling of documents, enabling speedy implementation and intuitive usage to companies of all sizes. Please write to info@mikrografija.si and we will gladly respond. Set up a paperless office!